In a statement signed by Kayode Oyekanmi, Asst. Director, Public Affairs, Lagos state ministry of Justice, the Lagos State Government has filed criminal charge against the Managing Director of Lekki Gardens Estate Ltd, Richard Nyong and others over the collapse of a five-storey building under construction on Kushenla Road in Ikate Elegushi area of the State which killed no fewer than 35 persons. 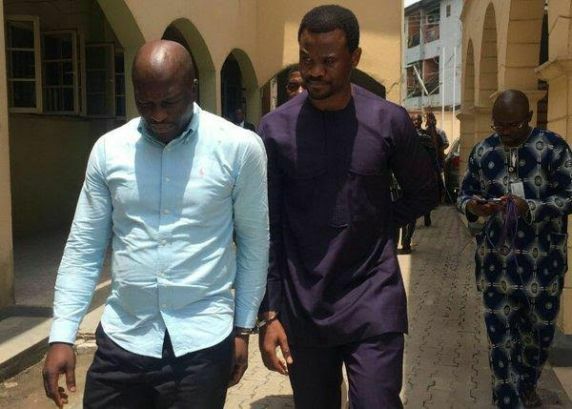 Apart from Lekki Gardens Estate Ltd, GT Rich Ltd, HC Insight Solutions Ltd, others charged alongside Nyong are Taiwo Odofin, Omolabake Mortune, Maruis Agwu, Sola Olumofe and Omotilewa Joseph. The defendants are facing six-count charge of failure to obtain building approval for the collapsed building and unlawful manslaughter contrary to Section 75 of the Urban and Regional Planning and Development Law of L.
The criminal charge, which was filed on February 17, 2017, is yet to assigned a date for arraignment of the defendants. The State Governor, Mr. Akinwunmi Ambode, after the collapse of the building, had visited the scene where he expressed a strong commitment to the protection of lives and property of all citizens in the State. The Governor had specifically vowed to ensure justice for the victims of the collapsed building, while also assuring residents of the State that no stone would be left unturned to ensure that cases of criminal negligence and other forms of criminal activities are prosecuted.